We're rather excited by the range of radiators we offer at UK Bathrooms. 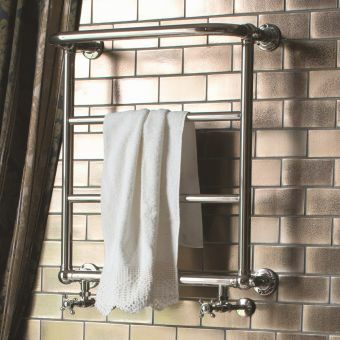 Supplying everything from traditional column radiators to funky, contemporary radiators, you'll be sure to find the perfect addition to your bathroom. 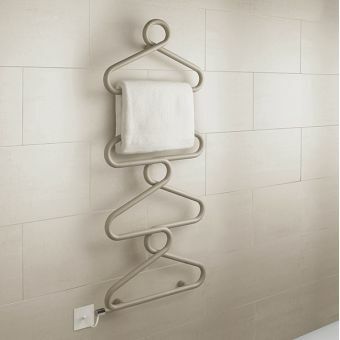 If you only have a small space to keep warm then you might find that a heated towel rail can do the job for you. They can be plumbed into your heating system, or simply electric powered, which can be handy when you're not changing the whole system. 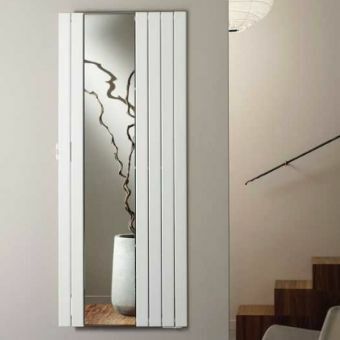 Arranged to give space to air and dry towels, this range of radiators is supplied in an array of innovative contemporary forms, giving a viable option for any designer wishing to incorporate this useful and stylish feature. 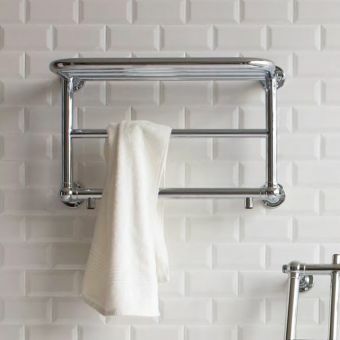 Drawing inspiration from the classic designs of vintage interiors, our selection of traditional towel rails are the ideal option for anyone looking for a towel drying option in keeping with their surroundings. Showcasing the ability of top manufacturers to design and invent radiators in a spectrum of innovative forms, our collection of contemporary radiators features many units that not only warm the surroundings, but are designer features by themselves. Realised in the classic styles associated with Victorian and Edwardian interiors, the traditional series of radiators is the perfect addition to the interior wishing to authentically recreate sumptuous spaces of yesteryear. Innovation and striking visual design are at the core of this collection, presented here as luxury items for the luxury, modern living space that requires suitably striking furnishings. 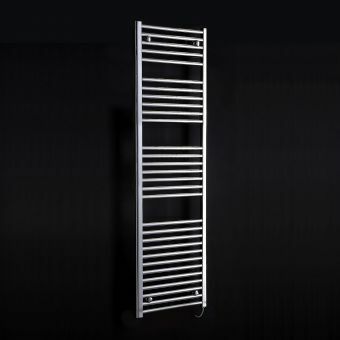 Apollo Modena Vertical Aluminium RadiatorFrom £175.50 inc.VATRRP: £234.00 (Save 25%)Space saving vertical radiator in two different heights, in a standard white finish suitable for any room in the house. Apollo Malpensa Wave Vertical Aluminium RadiatorFrom £315.00 inc.VATRRP: £420.00 (Save 25%)Finished in Anthracite matt textured metallic, 1800mm in height with width options of: 408, 568 or 728mm. 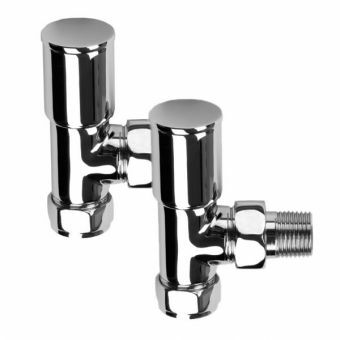 Collecting a broad array of styles and formats, these radiator valves come in straight or right angled forms as required, with options for wall mounted or floor standing radiators. 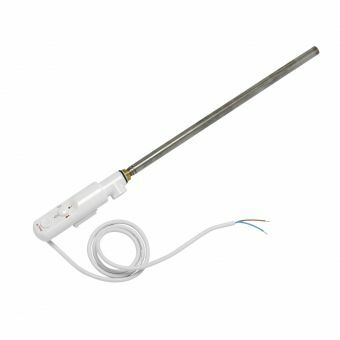 Easily applied to a range of radiators, these dual fuel immersion heaters offer an inexpensive and efficient method of activating a single radiator, bypassing the central heating for a wiser use of energy and lower running costs. In the UK and Northern Europe we are no strangers to colder weather in winter, and even the odd cold rainy day or two in summer when the temperature drops! We bob the thermostat up a little to get toasty again. 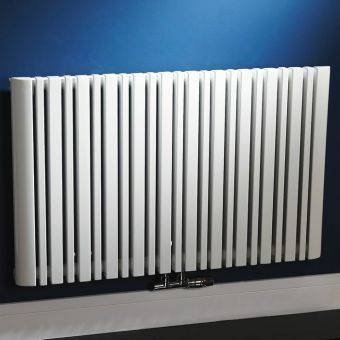 As such, radiators are a household essential-object in the UK, whether you live in a cosy studio apartment or a palatial estate you will need radiators to heat and maintain the room temperature of your property. 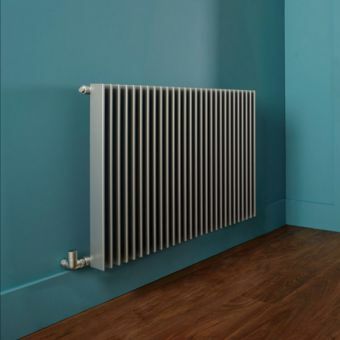 You may genuinely have not thought about how radiators work before, certainly if it is your first property renovation or new build and you are looking into purchasing a radiator for the first time. Bathroom Radiators heat your home through radiating out heat which comes from hot water that is piped to and through them, from your central heating system. As the hot water cools inside the radiator, it sinks down to the bottom and is pushed out. Using hot water to heat our homes and leisure areas certainly isn’t a modern-day invention, Romans used hot water to heat their bathhouses and homes, but today’s designs are much more efficient and don’t require your own aqueduct and an estate the size of The Roman Baths of Diocletian! The radiator as we know it today is credited to various people who helped develop the central heating system throughout history, but prominently Russian inventor Franz San Galli who invented the ‘heating radiator’ in 1855. Initial models were made from fabricated steel which was expensive to produce at the time, the late 1800’s saw cast iron radiators become more popular, these were also cheaper to manufacture and are recognisable to us today in the UK as “Victorian style” large, very heavy, column-shaped radiators sometimes with ornate decoration. 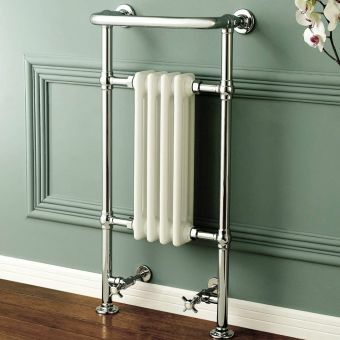 The image above shows the Imperial Taby Radiator and the Imperial Tumba radiator in a traditional cast iron material and style popular in the Victorian era. Today, Bathroom radiators are usually made from aluminium, steel and some experimental designs have glass, mirrored, and even wooden sections. 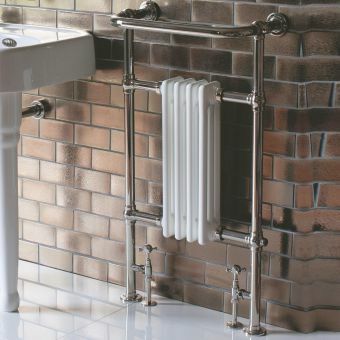 Cast iron radiators are still made but are generally not as efficient. 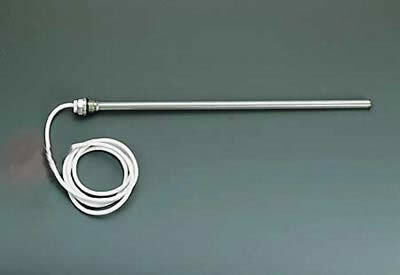 Various manufacturing processes are employed in the manufacture of radiators. Zehnder demonstrate the manufacturing process of the Zehnder Charleston in the video below which shows their “LaZer made” system cutting, welding and forming sections of the radiator with precision. The video above shows Zehnder Radiators manufacturing processes in action with an impressive laser cutter. 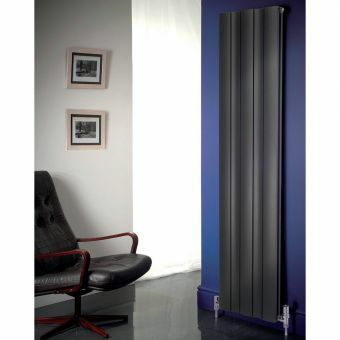 What radiators should I buy? 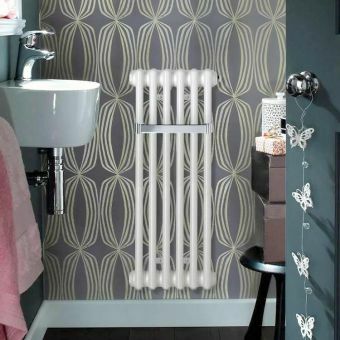 Here at UK Bathrooms we offer a wide range of radiator types made by market leading manufacturers such as Zehnder and Bisque, whose brand names are renowned for quality, style and design. 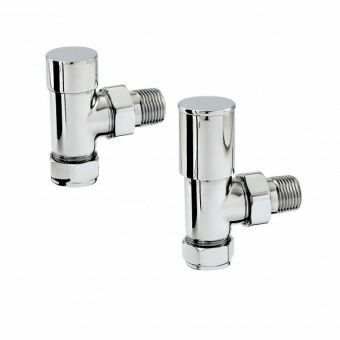 You are in the right place as we have an option for not only every bathroom in the UK but every room in your house! You will need to choose whether you are looking for a radiator (to heat a room) a towel warmer (to warm towels only) or a hybrid of both, which is a “towel warming radiator”. These heat the room and keep your towels toasty, dry and fluffy! You can then choose from central heating, electric only or a dual fuel which has a summer element meaning part of the year you isolate the radiator from the central heating and it operates via the electrical element. The video above shows Zehnder’s customer service experience centre in the UK which you can visit, it displays a huge range of their products in different finishes and sizes. How many radiators do I need? This is a little difficult to answer without knowing the size of your rooms and your requirements, other factors can also influence this, please follow this link for the Zehnder heat loss calculator sheet which will help you work out the amount of power you will need. Once you have this figure you will then be able to look at the BTU (heat output generated) from a radiator you like and know if that will generate enough heat for you or if you will have to go for a larger size. Why put radiators under windows? Where should radiators be located? 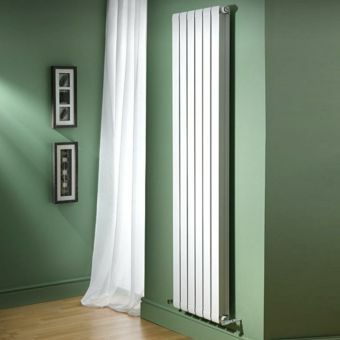 Radiators are traditionally positioned under windows, this will be a familiar sight to most of us in the UK and Europe. The reason for this is a draught is created upwards thanks to the rising hot air, this upwards convection helps disperse the warm air through the room. As the air moving around the room will be hot from the radiator output, the room feels warmer overall. This is a traditional way of getting the most out of your radiator and you certainly don’t need to install under a window only, good output can be generated from a variety of modern and contemporary radiator designs and positioned around the house as your interior design requires. 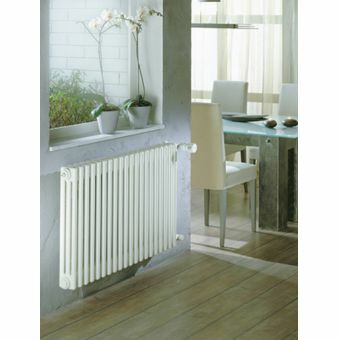 The image above shows a typical radiator installation with the radiators situated under the window in a large space for maximum updraft, featuring a Zehnder radiator. An increasing number of UK homeowners now have a smaller downstairs bathroom, or a cloakroom bathroom with just a WC and basin. This smaller space would be finished off perfectly with a neat little towel warmer or cloakroom radiator to keep that converted cupboard under the stairs warm and dry. This is a very handy property feature, ideally suited to modern, busy family life. 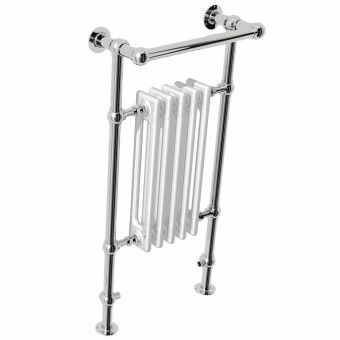 We have a selection of cloakroom sized towel warmers and radiators for smaller bathrooms and cloakrooms that will do just the job. 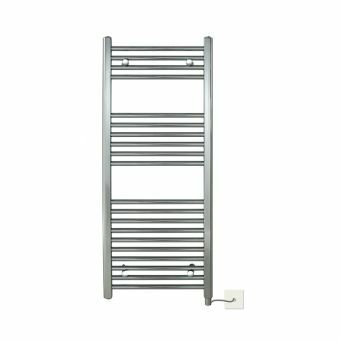 Some of these are also available as electric only models, electric towel drying radiators, meaning they are run independently of the central heating and require no plumbing, perfect for a cloakroom conversion. 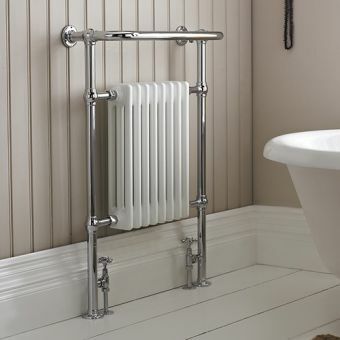 For traditional styled cloakrooms we would recommend the popular Burlington Bloomsbury Radiator. 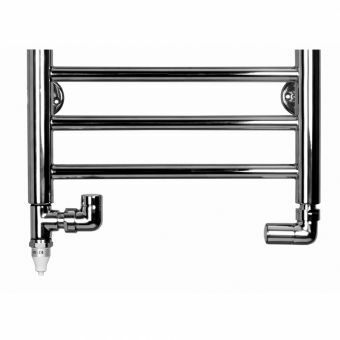 More contemporary cloakroom suites will be complimented with the stunning Zehnder Subway Cloakroom Radiator, this would look fantastic with the V&B Subway Compact Wall Hung Toilet and the rest of the Subway range by Villeroy and Boch. The image above shows a selection of cloakroom and towel warming radiators from our product range, including Burlington Bathroom Radiators, Abacus Bathroom Radiators and Zehnder. How do electric radiator heaters work? 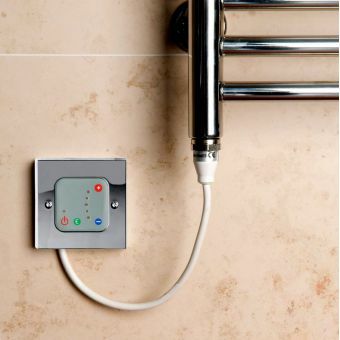 Electric radiators and electric towel warmers, (or a hybrid of both that is an electric radiator with towel warming rails) operate independently from your plumbing system. The radiator is completely sealed, the liquid inside is heated via an electric element installed into the bottom left or right of the rail. They are often filled with oil or an ethanol / ethylene glycol and water mixture, if purchasing as a normal electric rail this is prefilled in the factory. This is then wired in, we would always recommend employing a fully qualified electrician to take out this work. 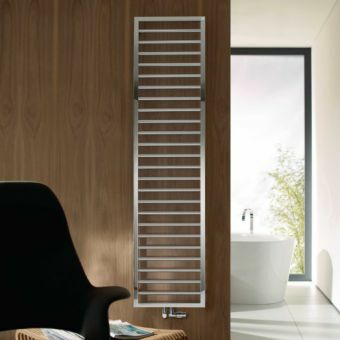 The Villeroy & Boch By Zehnder Subway Electric Towel Drying Radiator is a popular option. You will want your new heating purchase to have the best product lifespan possible, there are a few things to consider in our experience. 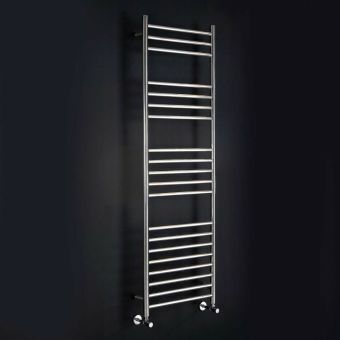 Material wise, stainless steel and high grade steel bathroom radiators are always a good product feature to look out for, these are naturally resistant to rusting and corrosion and will last longer than an inferior, cheap, mixed base-metal rail which is something you won’t find in our product selection so rest assured! We only sell bathroom products we would be delighted with in our own homes and brands we trust. Another good tip is the finish in terms of output, you will get the best output from a white or colour finish compared to a polished chrome. 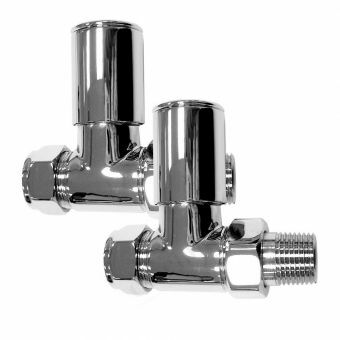 This is due to the nature of the finish, the shiny chrome polished surface retains heat more than a coloured or white surface finish which loses heat more quickly, which is exactly what you want from your heating product! 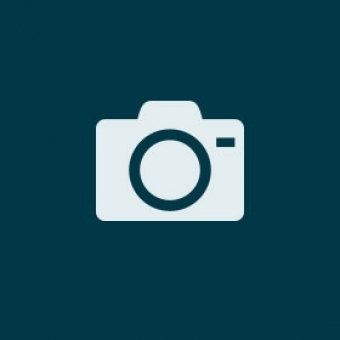 So if your design does allow for a white or coloured choice, and you need a higher output but can’t opt for a larger size, do consider this option. 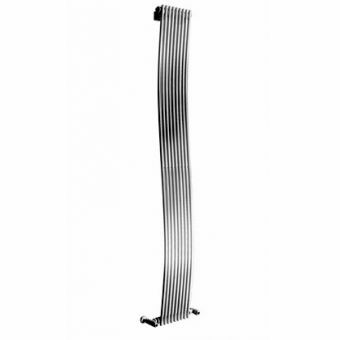 Let’s say for example you wanted to purchase the lovely new Zehnder Ribbon radiator, the smaller sized 500mm wide x 965mm in height. The chrome version of this has an output of 891 BTU, changing the colour to white, in exactly the same size increases the output to 1358 BTU! An increase of 467. 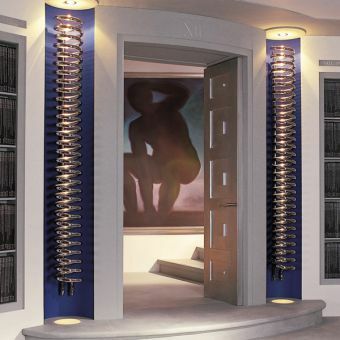 The image above demonstrates the Zehnder Ribbon radiator, which is available in 4 sizes, the drawing above showing the 965mm high version. The heat output is better on the white than the chrome version. Can’t find the size you require? A good handful of manufacturers we deal with offer a made to measure service on some of their designs, Zehnder, Bisque and Apollo for example. If you would like this pricing up please contact our friendly sales staff who will be only too happy to quote one for you contact us. A lot of special colours are now readily available, more of our stockists are now holding certain finishes in stock as coloured radiators become more and more popular. Special colours can also be made to order, with brands like Bisque even offering a colour match service! Perfect if you are looking for just the right shade to compliment your new tiles or flooring. Contact us for more information. 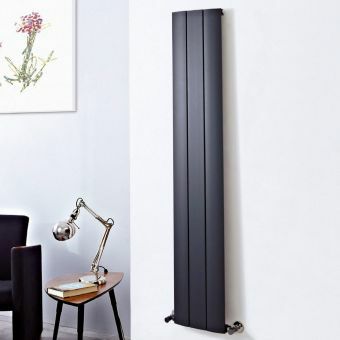 Our range of radiators are also suitable for other rooms in the home or an office space, we sell long horizontal rails that could be suitable for heating a hallway, or taller vertical steel rails that would heat a kitchen wonderfully. Looking for another heating option? Why not consider underfloor heating, we sell this too! Get in touch if you need any help and we will do our best to advise!